Get updates on the solo show that will inspire you to find your bloom. Actress & spoken word artist Candace Nicholas-Lippman shares her story of family, faith, fear, & freedom--and finds her truth & transformation along the way. Raw, courageous, and intimate, A ROSE CALLED CANDACE shatters expectations of what's possible with a one woman show, delivering a soul-stirring performance that will inspire you to find your own bloom. *60 Minutes with No Intermission. *Mature Content Not Suitable for Children Under 16. I've always been told I'm a very "guarded" person when it comes to certain things about my life. But being guarded has always been part of my survival. It’s a defense mechanism because if I don’t let you in to see my most intimate, vulnerable and hurt places, you can’t criticize, judge or formulate opinions about me, my family, my choices/experiences. Being guarded protects me from being hurt. But I realized that God did not put me on this earth to just survive. He did not intend for me to live life guarded, bound, or fearful. He came so that I may have freedom. And there is freedom in letting my guard down. There is freedom in sharing my story. I was created to use my pain for art to bring glory to His Name and hope/inspiration to others. This show is bigger than me. I understand my purpose. Doesn't make this journey less painful or the process any easier; it just makes it have meaning. God put a story in me and it's my duty to share it, to confront it and to grow from it. He put a story in all of us. Our stories are valuable and can change hearts as well as heal our own. Our stories can set us free. And I just know, that this freedom I so desperately yearn for, is right there waiting for me...waiting for us. It's time I plant my seed. A captivating talent on the rise, Candace Nicholas-Lippman is an actress, spoken word artist, and youth educator with a passion for using her God-given talents to uplift others. Candace’s acting credits include a recurring role on the Freeform/Hulu television series Good Trouble, Nick Bottom in Shakespeare’s A Midsummer Night’s Dream, and Elizabeth in In The Next Room, which earned her an LA Scenie Award and an LA Weekly Award nomination for Best Supporting Female. Additionally, Candace understudied in Tarell McCraney’s Head of Passes at the Mark Taper Forum and was also selected out of over 7,000 hopefuls to perform in the 2016 ABC Diversity Showcase for top network executives. In 2018 Candace debuted A Rose Called Candace to rave audience reviews. 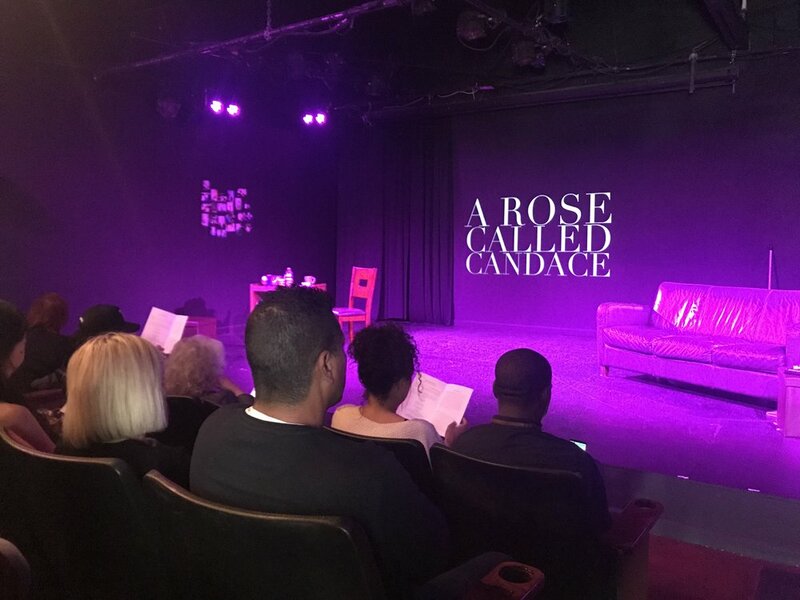 This spring, A Rose Called Candace was showcased in the 26th Annual Los Angeles Womenś Theatre Festival and she is thrilled to have recently been selected for the 2019 United Solo Theatre Festival in New York City coming this fall. Candace looks forward to adding more dates for the show as well as continuing to build on her personal passions in spoken word and arts education. She holds a B.A. in Theatre Arts and Dance from California State University Los Angeles and is currently repped by Luber Roklin Entertainment and Joseph Le Talent. An inspiring and brave piece of theatre. Inspiring and beautiful. It is so vulnerable and raw and thank you for sharing your journey. Can’t wait to see what the future holds. When my roommate asked if I wanted to see his friend’s one woman show I couldn’t have rolled my eyes harder. But he said I’d like it and I didn’t come up with an excuse quick enough and so today I sat in a small theater in Hollywood, dreading the next sixty minutes and plotting my post-show burrito. An hour later, I couldn’t speak - this show destroyed me. I wept and laughed and then wept some more. I have never experienced an energy quite like Candace Nicholas Lippman’s; she pierced my soul with her truth in ways I didn’t know I needed, and I’m so, so glad I couldn’t think quick enough to flake out on one of the best performances I’ve seen in a long time. She plans to take this show on tour and when it comes to your city, you need to go. The best art changes how you see the world, and every single person left that tiny theater with new eyes today. Thank you Candace for sharing your story and blowing my mind so hard I forgot all about my burrito. Amazing! Game changer! I was so moved by the sheer authenticity of this work of art! Kudos, Candace and Kaira! #ARoseCalledCandace. I think in five years time, many of us who were in the audience on 1-28-18 will be able to say, “we knew her when…” This is a beautiful, heartbreaking, life-affirming piece of theater which should not be missed by ANYONE. It doesn’t matter what you believe in, you will be moved. This is a story of faith and love. Period. POWERFUL show! From beginning to end, Candace pulls the audience into the story and doesn’t drop them for even a second. I was hooked; this woman who I know through acting class as a bubbly, warm and energetic person now I was getting to know the person behind all of that. And I couldn’t have been more grateful to you for allowing me to witness your light. From a storytelling perspective...masterful direction from Kaira Akita. 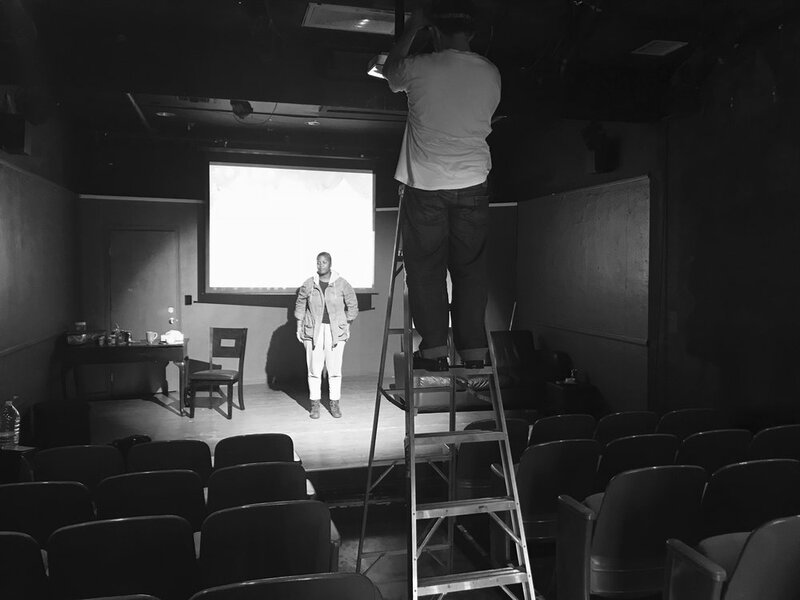 If this was your first time directing Kaira, it better not be your last! Excited to see this show grow, you better believe I’ll be there for the next one! Brilliant. Original. Stellar performance. It's not just entertainment, it's ministry. Definitely a must see! 2018 A ROSE CALLED CANDACE. ALL RIGHTS RESERVED.